Version 3 : Squad – Communicate. Coordinate. Conquer. The Russians and Militia enter the fray! 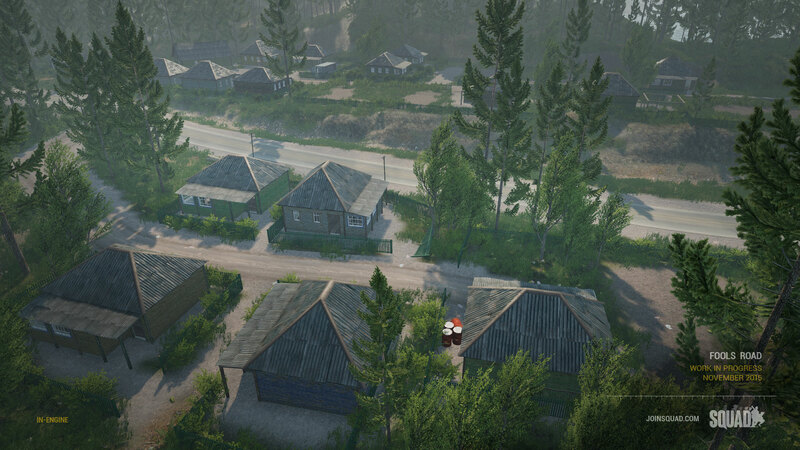 Prepare your war calls, as you join the Russians Ground Forces on the hunt. This Kickstarter stretch goal has been in development to debut as our first inhouse character models, and we’re ready to showcase the Russian face-off against the Militia faction. We snuck in the irregular Militia as our second inhouse character model set, which will be modular to match the theater/locale of future maps. Special mention to our finalized AK74M and RPK74M models in-game. 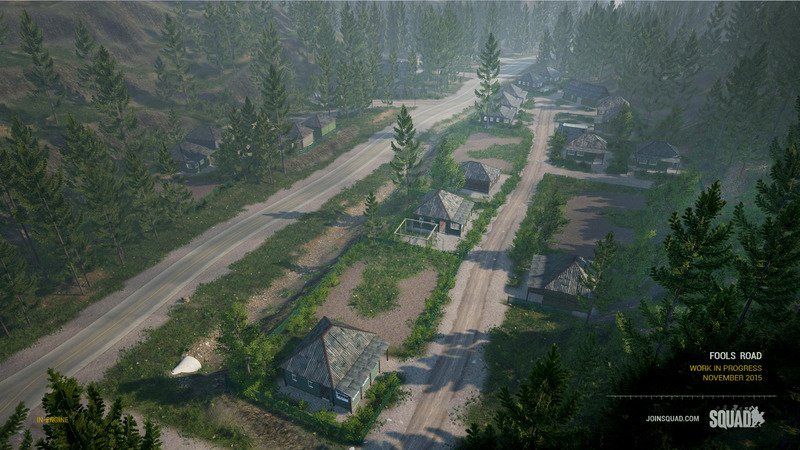 Featuring Russia vs Militia, Fools Road is the first Eastern European map! 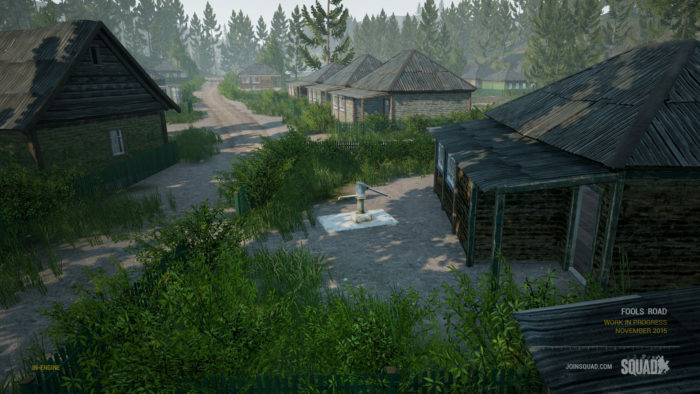 Experience the rolling hills and dense forests, showing off the power of the Unreal Engine. 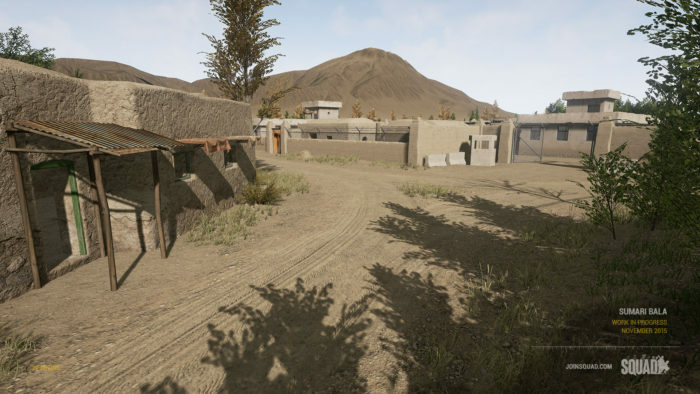 Fought over for years in our prior mod, this is one of the legacy maps we are updating into UE4 to give a nod to our history, the map is still in development and the roadside ambushes arrive soon, for now we push game play into the forested hills on the road to Dylym village. You wanted urban environments? You got it. A much denser and more claustrophobic map, Sumari Bala is a literal maze of slums, market complexes and alleyways designed to confuse and disorient ill-prepared squads. This map is also still in development, and we will be continuing to add, expand and detail the city in future iterations. But for now this will be a taster! The training map, Jensens Range, has been added to the Training button! 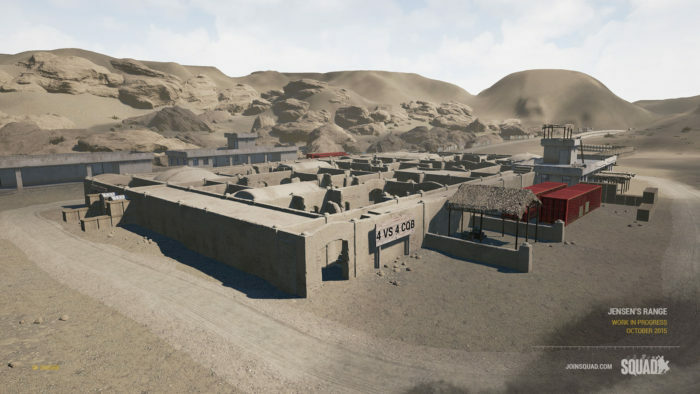 Featuring pop-up targets, multiple types of shooting ranges and combat environments, Jensens Range is the perfect place to get familiar with weapon mechanics or just polish up your skills. 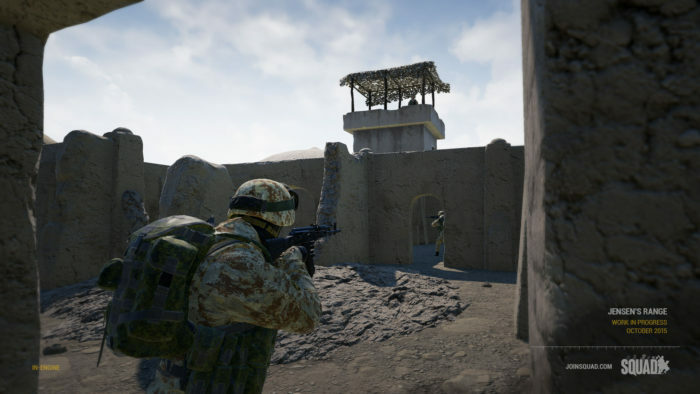 Squad is now on Steam for Founders backers! With this patch you will no longer have to log in to the game, and all the steam features are enabled! With the upcoming Steam Early Access release, weve done a pass on our UI to improve the new player usability, adding Tooltips, better wording to explain how to spawn and get in game, as well as a number of other useful hints for new players. We will continue to add to these as we approach our December 15th Early Access release. 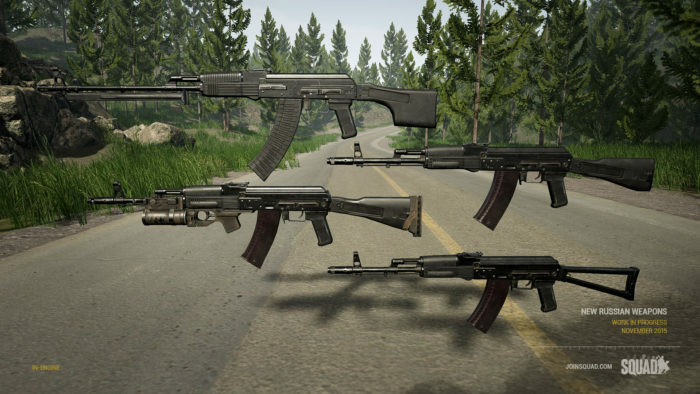 We have implemented a system of Kit Role limitations that takes into account how many kits are limited to the entire team (and not just Squads), as well as the range and diversity of kit roles that are available to different sized Squads. Generally the more populous a squad is, the more Roles open to members of that squad there are. In case you missed the November Recap, we have updated Tracer and Explosion effects with greater visual fidelity. Best to see for yourselves! 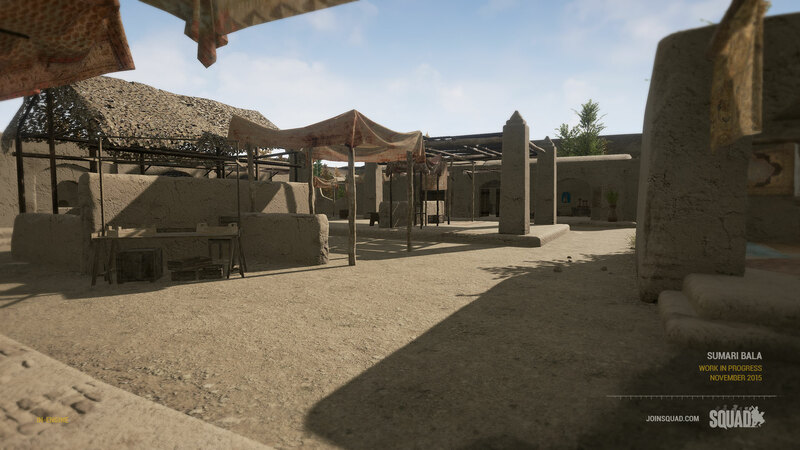 Weve updated to UE4.10, which includes many performance improvements, including a possible fix to the performance issues with AMD CPUs. In addition to the above additions, below is a changelog for Version 3. The limits and available kit variations depends on the faction. kit instead of the kit you had claimed. 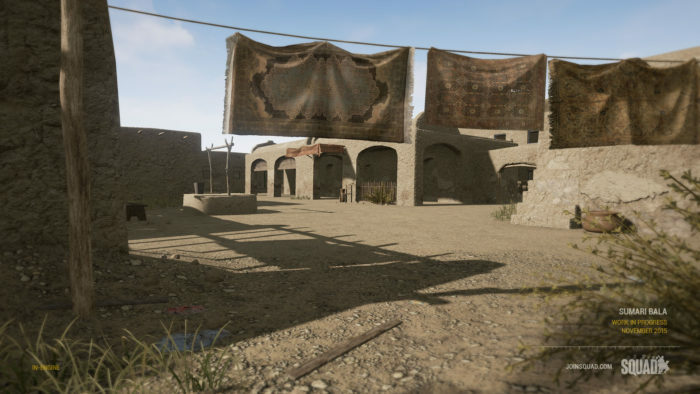 Ammo, bandages and smoke grenades will be transferred to this kit so you don’t gain any additional equipment from leaving. Squad Leaders can now kick unruly players from their squads! Once kicked, there is a cooldown before they can rejoin. Fixed a number of issues where bandaging and medic bags would fail to detect a dead player. Reviving is much easier now. Added a new UI element that pops up and displays when certain important events happen, like being kicked from a squad, lost connection to a server, or when trying to join a server and failing. Optimization pass on Particle effects and sprite textures, decreasing their video memory usage and improving rendering speed. 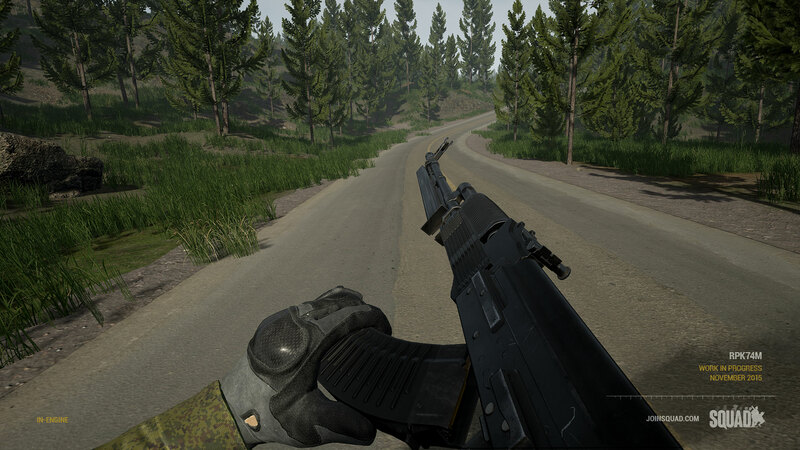 Optimization pass on Weapon Textures, again decreasing their video memory usage and improving rendering speed. Fixed a number of missing faces and LODs on many environmental models. Exposed many AntiAliasing and Shadow settings to the options menu. Fixed building reverb effects not working as intended. Fixed incorrect Scaling parameters on Logars post processing. Fixed an issue where clients would see an incorrect respawn timer when the timer was delayed due to enemies present. Added falling metal targets with distinct audible hit sounds. Some targets take one hit to knock down, others will require several hits.